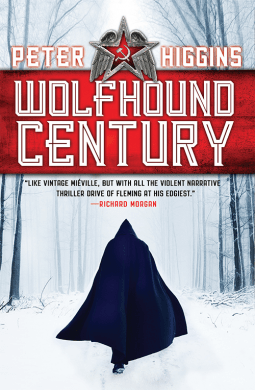 There’s something compelling about Wolfhound Century; when people talk about the beautiful style and language, they’re quite right. And the comparisons to Miéville are also, I think, fair. My issue was that it was all weirdly half-familiar — sort of Russian, sort of a mystery, sort of a thriller — and I couldn’t catch hold of any of it to really follow a thread through the story. Lom is okay as a character, but he feels empty, like a cipher. That doesn’t really get any better for me over the course of the book, and… generally everything else gave me that same impression. For me, there were so many bits I wanted more of — the forest creature/s — and bits I just didn’t enjoy, like pretty much anything relating to the angels, because they seemed so devoid of explanation. In the end, I have to confess I gave up and skimmed. Miéville has to catch me in the right mood, too, so I might be willing to try again some other time. But I really didn’t get into it, despite wanting to and finding the writing itself compelling.